Mystery Bust? Oriental woman with golden crown. Italian artist. About 15 or so years ago my brother was living in a house in Seattle Washington. One day he went up into the attic and stumbled upon something peculiar. It was a terra cotta bust of what appears to be an oriental woman wearing a golden crown. The woman in the bust seems to have her eyes closed for some odd reason. My brother kept this bust and added to his home decor. Two years ago my brother passed away and we ended up with this unique peace of art. 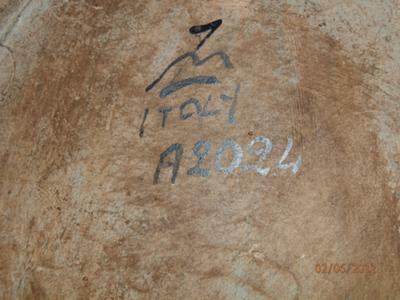 On the bottom the bust has a capital letter 'Z' with a squiggly line, Italy, the alpha-numeric A2024, and the name of an artist that I can't quite make out all written. I have searched high and low for the artist or other productions of this work and cannot find anything. Hopefully I have came to the right place now and will finally get some answers concerning this piece of art. The answer is this is the produce of the Zaccagnini Factory of Florence (founded in 1891 by an ex-Ginori employee) who were really trying to make things which would appeal to the US market in order to export into that huge market. This scored through 'Z' mark was used in this way mainly from 1937 through to the late 50's. Be aware that some of the rarest Disney figures this company made in the 1930's are almost priceless (fetching 5 figure sums at auction). 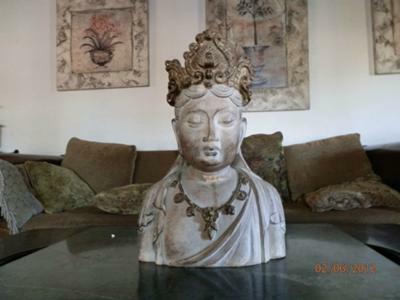 I have no idea if these religious Oriental shrine busts are sought after or not. Just because one line of merchandise from a maker has a huge secondary value, means diddly-squat for other parts of their ranging. The signature simply says "Zaccagnini", of course - although the 'Z' doesn't looks more like an 'L' to me and it's pretty illegible. 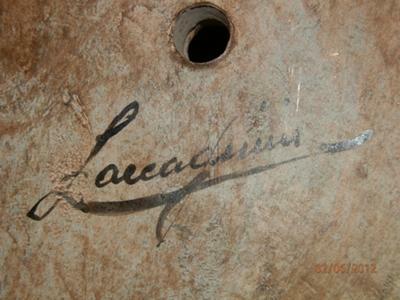 So it looks as if it says "Laicaguuu" or something. 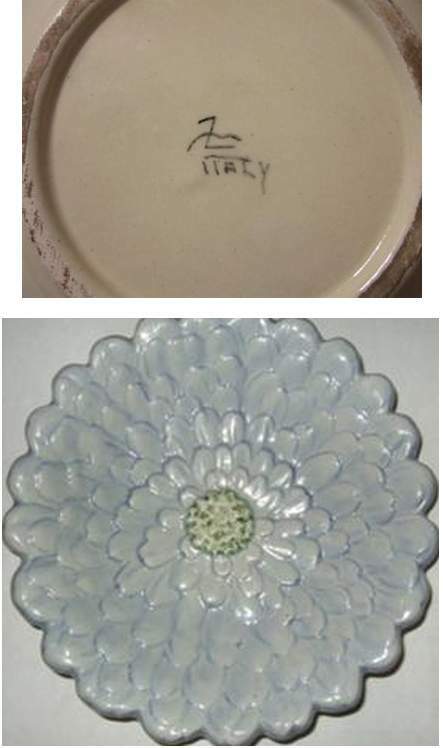 It's a really beautiful decorative piece from quite a well known Italian maker.